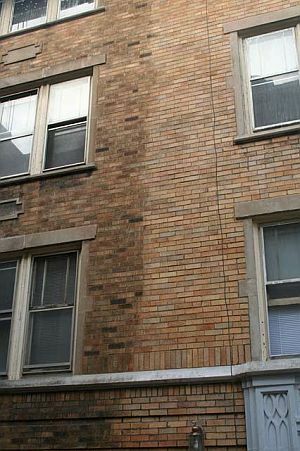 Powerwashing: Many times building only require power washing with medium-high water pressure to remove carbon build up. Chemical Cleaning: Powerwashing with environmentally safe chemicals approved by OSHA can make a safe and cost effective method of reviving the esthetics of the building by removing that film of carbon and bringing back the rich color of the masonry. Wet/Dry Blasting: Buildings with painted surfaces require wet-blasting or dry blasting with fine sand/particles to remove and restore back the original brick surface without damaging the masonry.